Hounslow’s Labour council continues to invest local money in extending its primary schools to ease the demand for places for this age group. David Cameron turned up unannounced at the Green School recently to continue to punt his government’s money wasting free school dogma which means that Hounslow’s (councillors continue to be told) 3 new secondary schools needed by 2018 can only be developed by anyone but the local authority. Despite this advancing, unproved and often controversial tax funded free market in education, Hounslow Council still has a duty to provide all children with a school place and, to attempt a fist at coordination, meets with other providers via a local Academy and Free School Reference Group. The Nishkam Trust currently operates a free school from a temporary site at the bottom of Wood Lane and has ambitions, with government money, to develop a 1400 pupil four form entry school for four to eighteen year olds on the former Conquest Club (aka White Lodge Club aka Pyrene Sports Ground) at 152 Syon Lane (also accessible from Wood Lane), Isleworth. As far as can be ascertained, Nishkam Trust is not the current owner of the site but local people advise that it is about to be speculatively bought by the Education Funding Agency which doles out cash to new school entrepreneurs. In other areas, some free school sponsors have pitched up in locations which may have once been schools, colleges, other public buildings or commercial sites. The Conquest Club is none of these, it is, like much of the rest of Osterley’s green spaces, designated Metropolitan Open Land (MOL). The site is subject to a Tree Preservation Order and part of the site is on an Historical Industrial Site (Wyke Manor). It is not unusual for developers to pay for and engage in pre planning discussion with council planners prior to submitting a proper planning application. Nishkam Academy’s agents first met with Hounslow in March 2013 to moot a proposal for the Conquest Club site: demolition of existing building and erection of buildings comprising a four form entry school, multi-use games area, playing fields, car parking, new access and landscaping, to include 65 full time teachers. The rules on releasing detail of these discussions are probably a matter of interpretation and commercial confidentiality reasons are usually cited to prevent wider sharing. This councillor has seen one letter from the planners to the agents following that meeting and to avoid unnecessary and protracted legal discussion has agreed not to share it further. The current advice is that all records of pre planning discussions will be available should a planning application be submitted. A few weeks before Christmas 2014, local concerns were raised that a school on the Conquest Club site was a done deal. This may have arisen from the publication by the council of a pre application screening decision, part of a process to determine whether an environmental impact assessment (EIA) would be required should a school wish to develop the site. The decision raised eyebrows due to contradictory statements contained and this has been queried but whether an EIA would not be necessary or not, no approval has been granted because no planning application has been submitted. The information vacuum prevailing since the school’s sponsor met with residents at St Francis Church Hall two years ago, led a neighbour of the site to leaflet roads surrounding the site with his concerns, made local press and afterwards spoke to this councillor. 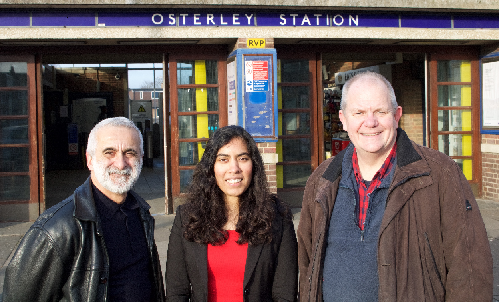 A meeting of the Osterley & Wyke Green Residents Association also took place to discuss the issue and next steps not long after. Whilst agreeing not to divulge pre planning advice, the following Hounslow policy, provided by its planners, is quoted and would apply to whomever had ambitions of the Conquest Club. London Plan Policy 7.17 requires the strongest protection for London’s Metropolitan Open Land and inappropriate development should be refused except in very special circumstances, giving the same level of protection as the Green Belt. Essential ancillary facilities for appropriate uses will only be acceptable where they maintain the openness of the MOL. limited infilling or the partial or complete redevelopment of previously developed sites (brownfield land), whether redundant or in continuing use (excluding temporary buildings), which would not have a greater impact on the openness of the Green Belt and the purpose of including land within it than the existing development. The Council’s own MOL development plan policy, ENV-N.1.6, also reflects this guidance. Nishkam Trust’s current proposal does not fall within one of the above acceptable categories and development of the proposed scale and use will not be acceptable on the Metropolitan Open Land unless “very special circumstances” can be demonstrated. In order to show very special circumstances, an applicant must first prove that there is an exceptional need for the proposal. Once a need is established, a sequential test needs to be undertaken to prove there are no less harmful sites available. Hounslow asks that this assessment should take place using the minimum required standards (rather than the preferred standards such as BB99) and should include flexibility in the school’s format such as investigating options that include siting primary, secondary and playing field elements on different sites. Nishkam Trust consider it important to the school that it is on a single site and it does not want the primary and secondary schools to appear as two separate institutions. However, in absence of further evidence about the requirements for co-location and evidence that options for potential disaggregation have been explored, very special circumstances for allowing development on Metropolitan Open Land in the current format have so far not been demonstrated. Nishkam Trust need to establish an appropriate catchment area for siting the school, every site above the minimum required area within that catchment should be investigated to show whether the proposed development (or part of the proposed development) could be placed on the Conquest Club. 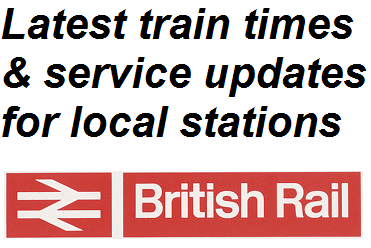 This in effect means an assessment of whether the site is suitable, available and viable. They must clearly outline the reasons for dismissing each piece of land assessed. It is important that Nishkam include all pieces of land within their agreed site search area and these must not be easily dismissed; existing schools cannot be dismissed because they are existing schools as they may still be suitable for expansion; alternative pieces of Metropolitan Open Land cannot be dismissed on the basis that they fall within Metropolitan Open Land, as development on those sites may be less harmful than on the Conquest Club and thus sequentially preferable. If the sequential test shows there are less harmful sites available for the proposal (even if these are not in the most ideal format for the school) very special circumstances will not have been demonstrated and the proposal will be unacceptable in principle. If the Council recommends approval for an application on Metropolitan Open Land this may be called in by the Mayor of London or the Secretary of State who will make the final decision. At March 2013, Hounslow Planning advised that the Council would, based on the proposals submitted, be unable to support an application in principle. Policy ENV-B.1.1 requires new development to make a positive contribution to overall environmental quality. Development must relate to the adjacent townscape, respect neighbouring buildings, use high quality materials and protect neighbours’ daylight and sunlight. If very special circumstances can be established using the sequential test, then development must be sited and designed to preserve the open character of the Metropolitan Open Land. The proposal should be sensitive to its setting and that the design takes account of the shape of the part of the site in which it is located is essential. The built form must relate carefully to its open setting; and as a result the proposed siting of buildings, spaces and overall theme within a landscape would be essential to the success of the proposed design. Materials should be carefully chosen, be of high quality, natural in texture and appearance and appropriate to the open setting; roof forms will be as important as materials. There is a large number of trees subject to a Tree Protection Order on site. Loss of a small number of class C or unclassified trees is likely to be acceptable if they are essential to the development, provided additional planting takes place to mitigate for the loss. The council will not accept the loss of a large number of trees neither reduced tree screening surrounding the site. An applicant should submit an arboricultural report with any planning application and this should include a tree survey, a tree removal and retention plan and a tree protection scheme. Appropriate separation distances along with retention of landscaping on the boundaries will prevent any loss of light, loss of outlook, visual amenity or loss of privacy to neighbours would be required. Surrounding residents’ largest concern will be over to the disruption that would be caused to the surrounding highways by drop-offs and pick-ups so a robust travel plan would be expected. The applicant would need to consider any proposed lighting to sports pitches carefully with regard to neighbours’ living conditions. This part of Osterley has a very poor Public Transport Accessibility Level of 1b with very poor accessibility. Hounslow UDP Appendix 3 requires developments to have a maximum of 1 car parking space per teacher. A large extent of parking could be an aesthetic problem in this open area. The applicant will need to show and provide appropriate visibility splays at vehicle access points to the site and the impact on trees will need balance; technically acceptable solutions may not be sufficient on this site. The applicant will need to investigate and propose appropriate (and pay for) crossing points outside the site. The proposal would have to take into account pedestrian access and dropping off points and their impact on Syon Lane, Wood Lane, Stags Way and Braybourne Drive. The applicant would have to design appropriately screened and conveniently located refuse storage into the scheme. The applicant would have to show tracking details for all vehicles, including mini-buses, coaches and service vehicles; garaging and parking of such vehicles should also be considered for visibility. The application would have to show provision of cycle parking and electric car charging points in accordance with London Plan standards. The site is in a very unsustainable location and relatively remote to large residential areas and it is likely that a large number of people using the site would travel by car rather and that would be unacceptable unless a robust and credible travel plan is submitted as part of any proposal. The Greater London Authority, Transport for London, the Environment Agency and Sport England are statutory consultees if a planning application should come forward. 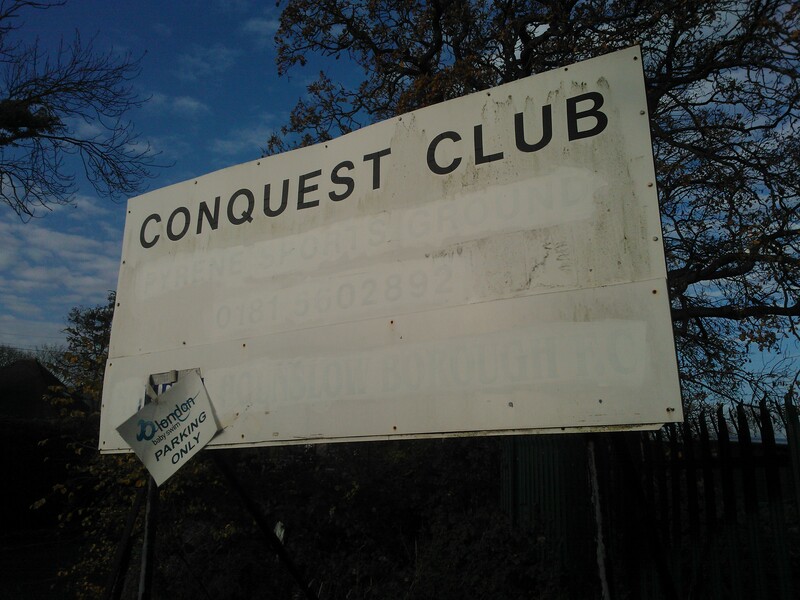 The future use of the Conquest Club site will continue to exercise its neighbours for the foreseeable future and am happy to continue to receive information, comments and questions until firmer proposals are revealed. Please watch this space and contact me should you need to with any comment or news. A pdf version of this report can be downloaded here.